Cajun Chicken and Rice has always been a favorite at our house. There’s a little Cajun spice to give it some ‘kick’, but combined with the perfect sticky rice…it’s so flavorful and packed with that Southern Cajun taste. The medium-brown roux is the trick! But this is not hard to make. 100% Loon Approved!! 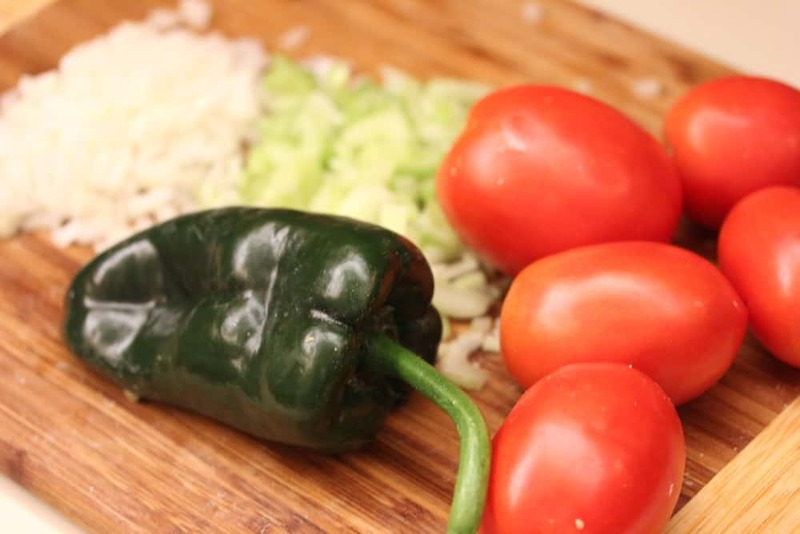 Poblano peppers, onion, celery and fresh tomatoes…yes! Let it simmer to bring out all the flavors! 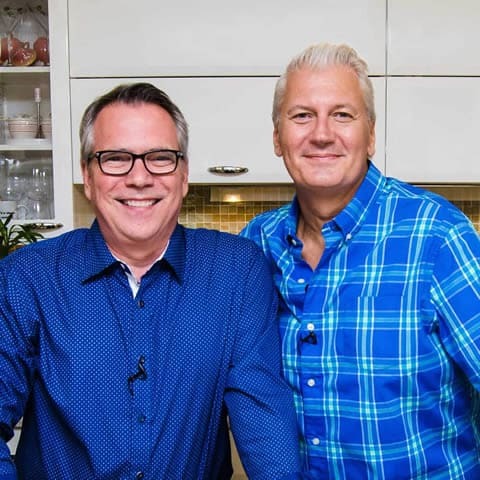 Serve over Perfectly Steamed Rice! 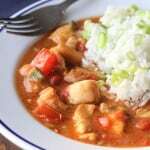 This Cajun Chicken and Rice dish is one of our favorites. 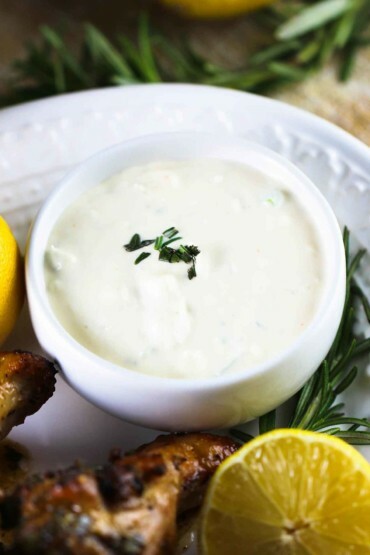 It's got that nice Cajun kick, but goes so perfectly with the sticky steamed rice. You're gonna love this one! 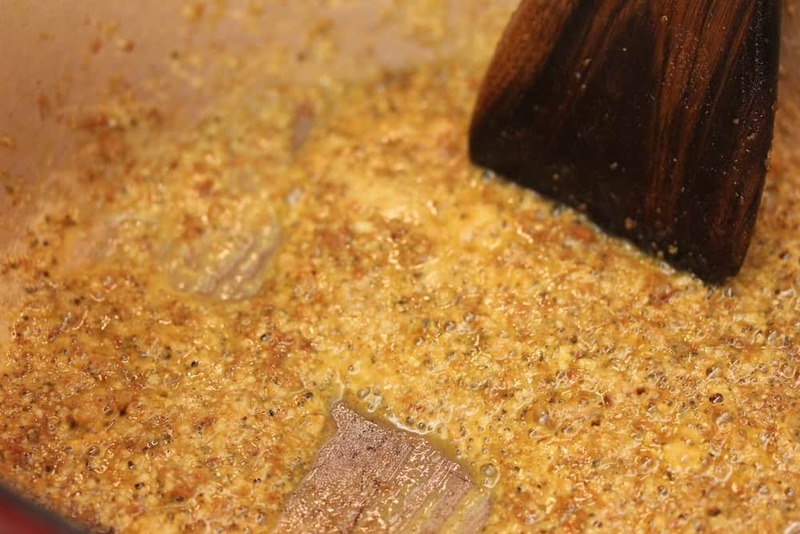 Whisk together the ingredients for the rub in a small bowl. 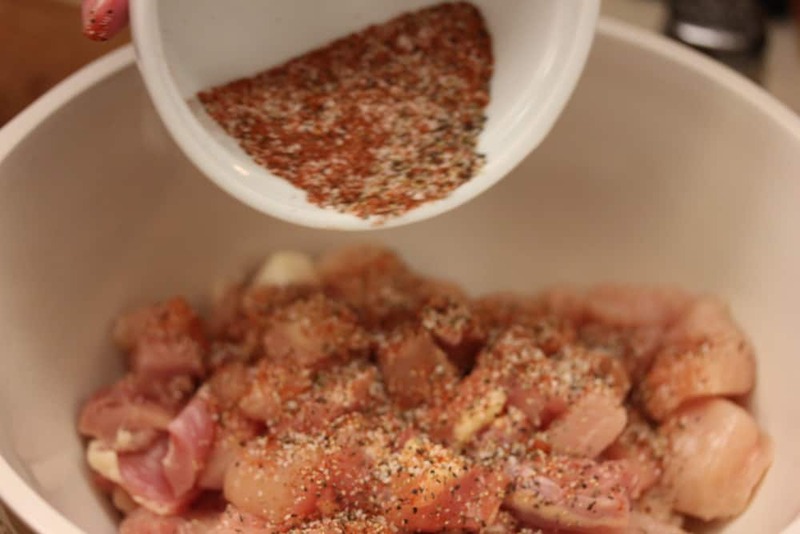 Place the chicken pieces in a large bowl, and add the rub mixture. Use your hands to evenly coat, and set aside. Heat the oil in a large pot, or Dutch oven, over medium-high heat until it begins to smoke a little. Meanwhile, toss the chicken with the flour to coat. Shaking off the excess flour from the chicken, transfer the pieces to the hot oil and fry until golden brown on all sides. Do this in two batches, so you don't overcrowd the pan - the chicken should be in one layer, and not on top of each other. Reserve the leftover flour (you need about 1/4 cup...add more flour if needed). Use a slotted spoon to transfer the chicken to a platter, leaving the oil in the pan (you should have 1/4 cup...add more if needed). Add the remaining flour to the oil, and cook, stirring constantly, for about 5 minutes to create a medium-brown, peanut butter-colored roux. Add the onion, celery, poblano, and garlic, and cook for another 5 minutes. Add the chicken, tomatoes, stock, thyme, bay leaves, and hot sauce. Simmer over low heat for 45 minutes, stirring occasionally, until thickened to a light gravy and the chicken is very tender. 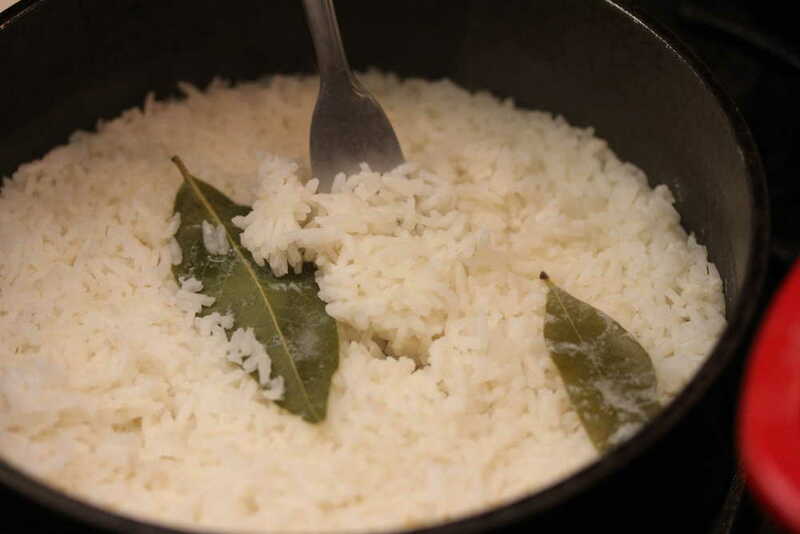 Combine the rice, water, bay leaves, and salt in a medium saucepan and bring to a boil over medium-high heat. 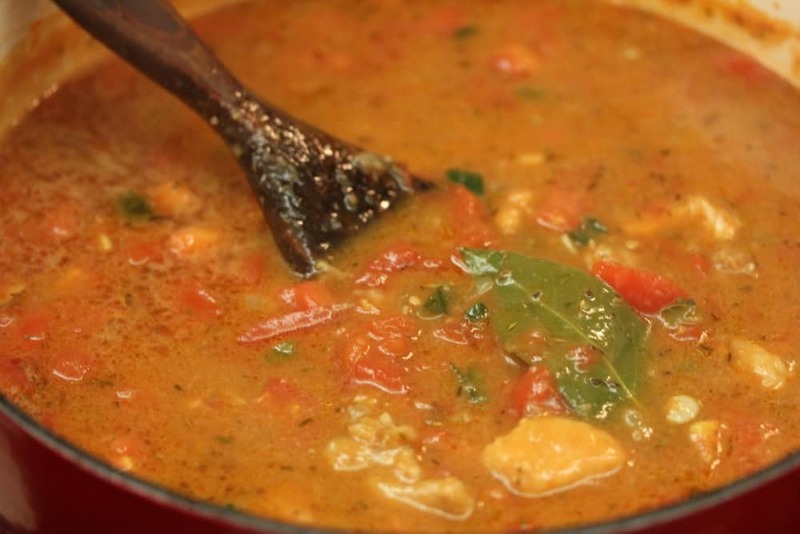 Reduce the heat to very low, cover with a tight-fitting lid, and simmer for 15 - 20 minutes. Remove from heat, and keep covered for an additional 5 minutes. For the canned tomatoes do you mean whole plum in juice, or?